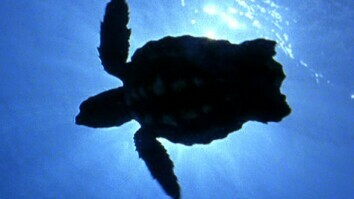 July 6, 2011---Sea turtle nesting season is underway on Gulf of Mexico beaches, and observers say activity seems normal. But these aren't the same animals that nested during last year's Gulf oil spill, and scientists are concerned about a continued rise in turtle deaths. 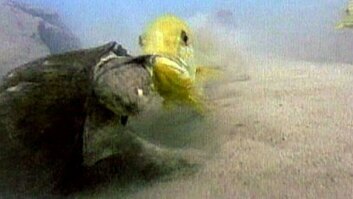 The first sea turtle nesting season after the 2010 BP oil spill was contained is underway in the northern Gulf of Mexico. And biologists and turtle conservation groups report a good nesting season so far. Last summer, as the ruptured well spewed an estimated 5 million barrels of oil into the Gulf, scientists and volunteers launched a risky rescue– moving fragile turtle eggs away from the oil danger. Biologists and volunteers moved about 28,000 eggs , mostly loggerhead turtles, from Alabama and Florida’s Panhandle to NASA’s Kennedy Space Center. The goal was to spare the vulnerable hatchlings an encounter with the oil. It’s estimated around 14,000 hatchlings were released on Florida’s Atlantic coast. The tiny turtles were not tagged, so no one really knows where they are now. And if they were spotted, they couldn’t be accurately identified. Back on the Gulf Coast, it’s nesting season once again, and conservation groups like Alabama’s Share the Beach are finding new nests almost daily– an encouraging sign. But they caution not to read too much into the finds. “The nests look normal, the turtles seem normal. So, all in all it seems like a pretty good year. Of course, the turtles that are nesting this year are not the turtles that nested last year. Turtles nest every other year or thereabout and so these turtles nested two years ago. What we will be really interested in seeing is a year from now when last year’s turtles that were here during the oil spill that had the greatest effect from the oil come back and nest on our beaches next year. There are 5 species of sea turtles that nest on the beaches of the Gulf Coast, and all of them are protected, so, every morning Share the Beach volunteers comb Alabama’s coast, just as they’ve done every nesting season since 2001, looking for telltale signs of a turtle nest – crawl marks and churned up area near a nest site. And biologists are doing a study as part of the Natural Resource Damage Assessment – attaching satellite tags to incoming mother turtles to monitor their movements. When the patrols spot a fresh nest too close to the waterline, they move the eggs before they set and become more sensitive to movement. They carefully put the eggs in a new nest and cordon it off. In neighboring Mississippi, the Institute of Marine Mammal Studies is running its own satellite tagging studies to follow the movements of Kemps Ridley turtles. IMMS Executive Director Moby Solangi reports some causes for concern about the Gulf’s recovery. This spring he saw a 20 to 30-fold increase in dolphin deaths – most of them baby dolphins. And this was months after officials stopped the flow of leaking oil. With half of the year still ahead, the numbers are expected to grow. That these deaths are a result of the spill cannot be said definitively. But Solangi and other researchers will be working to learn more about the spill’s impact on turtles and other creatures. As far as the fate of the little turtles released last year…. Back in Alabama, volunteers carry on, knowing they could be helping save an endangered species. “People realize that this beach is more than just a wonderful place to come sunbathe and fish and hang out. It is a critical habitat, not just important, but a critical habitat for a very important species, an endangered species of sea turtles. They cannot survive without this beach. They have to nest on these beaches. They’re driven to."